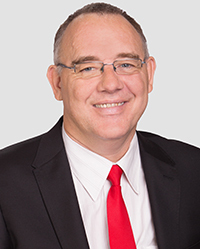 Countries that don’t have abortion on the criminal code have lower abortion rates than Queensland, according to Independent MP Rob Pyne. Mr Pyne said countries like Holland which have abortion on demand had one-tenth the abortion rate of Queensland. He said the inspiration for the Woman’s Right to Choose Reform Bill came from attending a meeting of leading medical practitioners in North Queensland. These were Professor of Obstetrics and Gynaecology Dr Caroline de Costa, Dr Carole Ford OAM from the Cairns Women’s Network and Cairns Doctors medical director Dr Heather McNamee. Mr Pyne tabled a second bill last week in parliament, the Health (Abortion Law Reform) Amendment Bill. He said he hoped MPs would now vote and support the first Abortion Law Reform Bill after being deterred by a highly successful scare campaign. Mr Pyne said pro-life organisations like Australian Christian Lobby and Cherish life had been deliberately misrepresenting the truth or showing poor judgement in what they had managed to do in the community and in Parliament. Drawing from Victorian and ACT legislation, the Health (Abortion Law Reform) Amendment Bill should give confidence to the more conservative and liberal members of parliament that there will be restrictions on abortions after 24 weeks’ gestation, Mr Pyne said. By feeding the second bill into the system, Mr Pyne said he hoped some form of reform legislation emerged. With a committee’s report on the repeal bill due this week, Mr Pyne’s main aim is that Parliament gets together and passes law reform removing abortion from the criminal code in Queensland. “I’d be very disappointed if we didn’t get a change in Queensland,” he said.